Studies on the state of batteries and temperatures at the location showed that they were relatively in good health before the storm, and there is not likely to be too much degradation. Studies on the state of batteries and temperatures at the location showed that they were relatively in good health before the storm, and there is not likely to be too much degradation. Moreover, because dust storms tend to warm the environment — and the storm happened in summer — the rover should have stayed warm enough to survive, the US space agency noted. Engineers at NASA’s Jet Propulsion Laboratory in California are now looking for signs for recovery efforts. 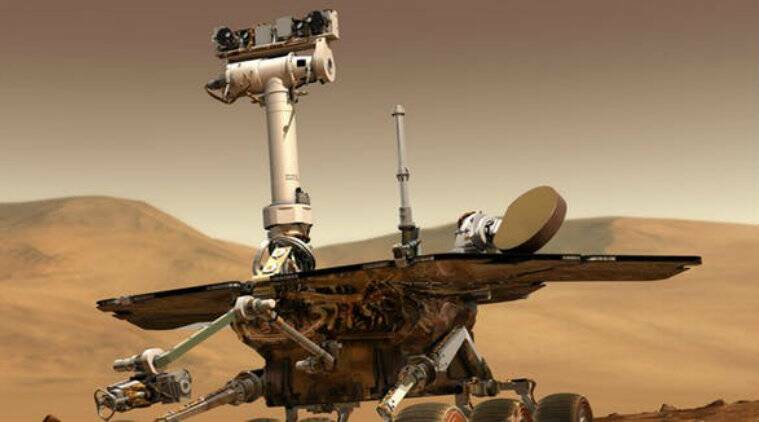 According to them, Opportunity will need a tau — the veil of dust blowing around — of less than 2.0 before the solar-powered rover will be able to recharge its batteries. The higher the tau, the less sunlight is available; the last tau measured by Opportunity was 10.8 on June 10. To compare, an average tau for its location on Mars is usually 0.5. Several times a week, the engineers are using NASA’s Deep Space Network, which communicates between planetary probes and Earth, to attempt to talk with Opportunity. The massive DSN antennas ping the rover during scheduled “wake-up” times, and then search for signals sent from Opportunity in response. In addition, JPL’s radio science group uses special equipment on DSN antennas that can detect a wider range of frequencies. Each day, they record any radio signal from Mars over most of the rover’s daylight hours, then search the recordings for Opportunity’s “voice.” However, even after the first time engineers hear from Opportunity, it would take time to fully recover, NASA said.